Alison Shaffer: See Disney's MUPPETS MOST WANTED trailer here! The movie opens in theaters everywhere March 14, 2104. See Disney's MUPPETS MOST WANTED trailer here! The movie opens in theaters everywhere March 14, 2104. 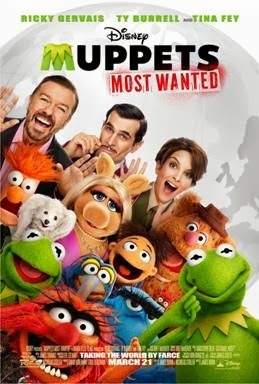 Mark your calendar for Disney's MUPPPETS MOST WANTED staring Ricky Gervais, Ty Burrell and Tina Fey. Coming to a theater near you March 14, 2014.